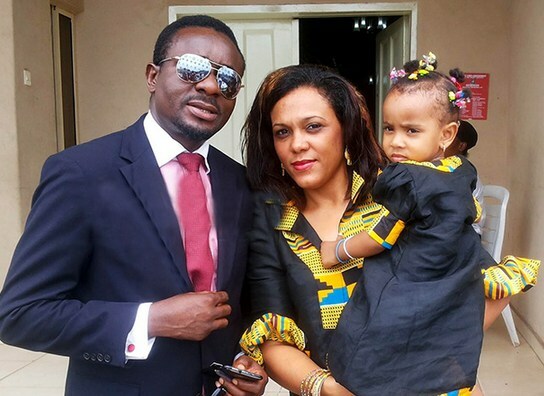 Nollywood actor, Emeka Ike is still in denial that he’s no longer married to his wife, Suzanne Emma. Earlier this year, his 14-year-old marriage to Emma was dissolved by a Lagos Island Customary Court over alleged incessant battery. Emma had on July 13, 2015, approached the court to dissolve the marriage, accusing her former husband of physically and verbally abusing her throughout the duration of their marriage. Despite his pleas with the court to reconcile them,she stood her ground, letting him take custody of their 4 kids.. In an interview with Vanguard, the heartbroken actor shares his pains, his anguish and regrets. You took a long break from acting, what happened? I tried to restructure the man, Emeka Ike. Emeka Ike is a leader and as a leader, you need to appraise and reappraise your empire and achievements. So, I have been appraising my constituency and I am happy that we are moving forward. At a point, you relocated to Abuja from Lagos. What actually prompted your decision to move to Abuja? I felt that my life was seriously threatened in Lagos. I have said it before that I am going to arrest some people very soon. In fact, some people took advantage of the AGN crisis to threaten my life and all that will be sorted out very soon by the police. I relocated to Abuja to avoid a situation where I would be walking on the streets of Lagos and a criminal would gun me down. I used my discretion to stay away while I watched from afar what was happening in Lagos. That was why that woman (his ex wife) is no longer living with me. God knows I am not a wife beater. I didn’t touch her and my children testified to that in court. I don’t know what came over her and who used her to blackmail me. But all that will be unravelled soon. Are you saying that you never raised your hands on your ex wife? Have you watched that one movie, where the wife was saying “everything is alright between me and my husband. He takes care of me and provides all my needs”. That was the situation between my wife and I. If I didn’t know I would have blamed her sudden change of character on my enemies. I love her so much. Why would she blackmail me by claiming that I was always beating her up when I didn’t. To avoid the disturbing mess, I had to abandon my businesses and house in Lagos and find a new life in Abuja. Does it mean you were not prepared for the divorce? I wasn’t. I don’t even believe we are divorced and I cannot remarry again. I am a real Christian and Christians don’t divorce. I told the court that I’m not divorcing my wife but they went ahead and got an injunction against a High Court order. Why was she trying to walk out of her marriage?Who was advising her to divorce me? I must see to the end of this matter because they have put my children out there without a mother. She’s in pain wherever she is right now because I know they are dealing with her. I learnt that she was beaten black and blue by one wife snatcher sometime ago, beside Mobil Petrol Station on Lagos-Ibadan Expressway. My own wife beaten up like a common criminal! I want to know what has gone wrong with my wife, I want to know the devil that is behind this. What is the extent of blackmail that brought her to this degrading level? The Inspector General of Police will be investigating into the matter very soon. While doing this, I have to stay away from Lagos because they could be after me. You accused Pastor Chris Okotie of Household of God Church International Ministries of being the brain behind your marital crisis. How did he come into the picture? The guy who is confusing my wife attends his church. He’s one of the elders of the church. It’s a church arrangement. When there is crisis in the family, a true man of God should invite both husband and wife with the aim of resolving their differences but Chris Okotie refused to pick my calls. Whenever I called him on the telephone, he usually avoided my calls. As a man of God, he was supposed to use his position to save our marriage. I didn’t chase my wife out of my house, I wanted Chris Okotie to advise her to return to her husband but he refused to pick my calls. He did not bother to find out what went wrong between us. While I am still alive, my wife was demanding that I should ‘will’ part of my property to her. She shut down a school I spent millions of naira to establish. Who was telling her to make such a demand? Where is she taking the property to? What happens to our children who will inherit my property? She was insisting on getting her own share of my property. At that point, I had to leave Lagos for Abuja because some people were strongly behind her and my life was no longer safe. But I’m coming back to Lagos soon. My house and property are still in Lagos. Nothing is hidden under the earth that cannot be unearthed someday. She blackmailed me for what I am not. You will feel sorry for a man whose wife was blackmailed to blackmail the entire family. Despite the pain she has caused you, you still declare your undying love for her? Love never dies. Real love doesn’t die, forget what we are talking about. The Bible says that “love covers multitude of sin.” She’s the mother of my children. She was nobody when I met her, she never knew her father. 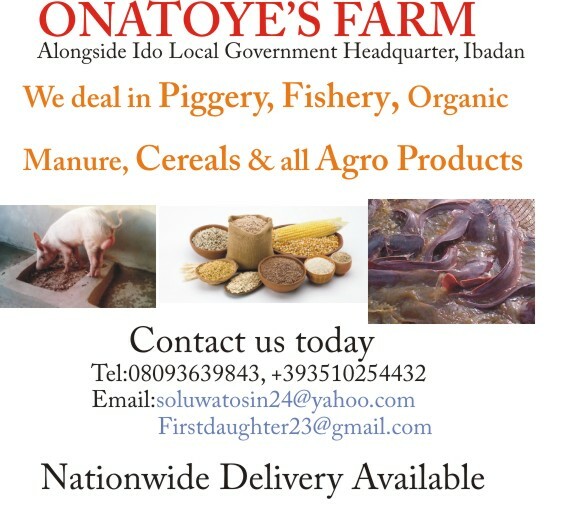 I built a house for her family in Lagos and also in Isoko. I trained her up to the master’s degree level. I gave her the exposure she needed in life. There are thousands of pretty girls who would want to marry me the first week we got divorced. But I am a gentleman, it is not about marriage for me now, it’s about doing the right thing. What is wrong with my woman? If it’s something we can redeem her from, we will still redeem her. Forget about marrying her again. I don’t need to marry again, but I need to know what was wrong with my wife. I need to know why she started blackmailing me. Can you welcome her back into your life if she returns to you? Accepting her back is not the problem, but let her confess and get herself back. I believe she’s under the influence of something. How did you feel watching her walk out of her marriage ? It’s the most painful part of my life. I cried for 24 hours every day for three to four years. I was just asking myself what is happening to me. You know, in blackmail, you will not know what is going on because somebody is playing the game. It was much later that I knew what was happening to me. I need to know the strength of these blackmailers because we have law in this country. And with the law, we will look at the issues pro-actively. Are your children missing their mother? They are not because they feel disappointed in her. She was their heroine. Her son was begging her, saying “mummy please come back because of me.” But she replied him; “I am going to marry another man and have other children.” If you can say that to your first son, it’s either you have a mental problem or you are not okay spiritually. She even said to the judge that she wanted to have other children after having four children. What is wrong with her? Her case beats my imagination. I have been blackmailed, undermined and I have been crushed. She closed down my school on the day I travelled, an investment that a student at St Nicholas was paying N385, 000, per session as school fees amounting to N880,000 every year. She went to the landlord and asked him to come and reclaim his property. Who is behind all these things? You cannot be unfair to me and get away with it, not when I’m still alive and seeking justice. I met her on the street and I saved her from the street. She told me she’s from a poor home and that she never met her father. I promised her that I would be her father and her lover. I gave her too much opportunity to swallow me. “The marriage is over. I have moved on with my life. I am not willing to talk about it again. His actions have not shown that he’s remorseful.